Candlemas Court takes place prior to the Social Evening and the main business of the Candlemas Court is to elect the Clerk for a further year. Tom Monteith, our excellent Clerk was elected unopposed. In the absence of our oldest Deacon, James Hamilton Smith, Stuart Orr rapped the shed to mark the end of the meeting. Candlemas is an important Term Day in Scottish history as it was the day when ministers' quarterly stipends were paid, contracts were stopped and new ones created, hence the re-election of the Clerk on this day. The other three term days are Whitsunday which falls in May; Lammas which occurs in August and Martimas which takes place in November. The Incorporation holds a Lammas Court in August each year also. The entertainment was provided by three young people whose musical skills were quite outstanding. Sally Simpson (on fiddle) was a 2nd Year student at the Scottish National Conservatoire who plans to study in Sweden next year. 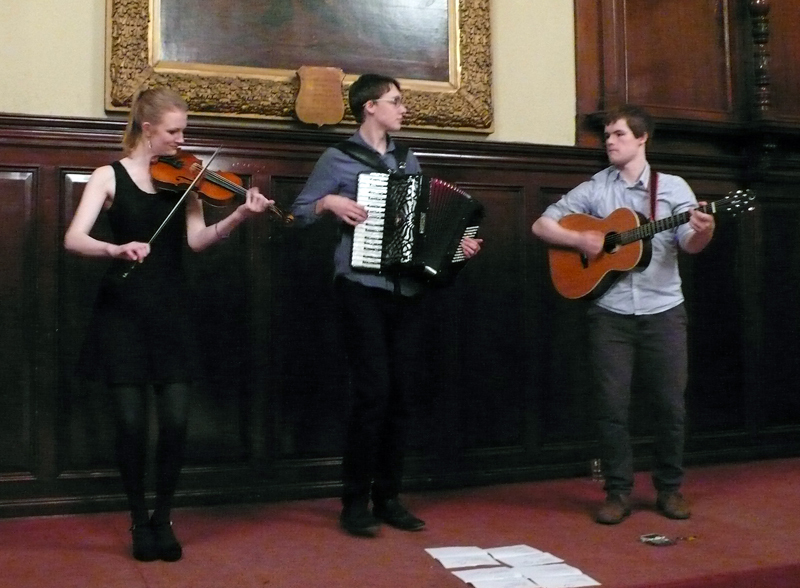 Joe Peach (on accordion) is a 1st year student studying distance through the University of the Highlands and Islands. At present he is considering studying for a Masters degree in Journalism and Publishing but has every intention of carrying on with his music out of pure love of the art. Innes White (on guitar) is a full time professional musician and he normally plays with the Miacha Macpherson Trio. The trio have just won the Danny Kyle Award at Celtic Connections and have also been nominated for a Radio 2, Young Folk Award. All three met when the were studying at National Centre for Excellence in Traditional Music and would be delighted to perform at other Craft functions. At the interval everyone enjoyed a light supper and a chance to talk to their friends and praise the artistry of the trio. After supper the trio again thrilled the company with their music and charm. Near the end of the evening Una Bryce, the Queen of the Masons drew the raffle and there was many a happy face when the draw took place. 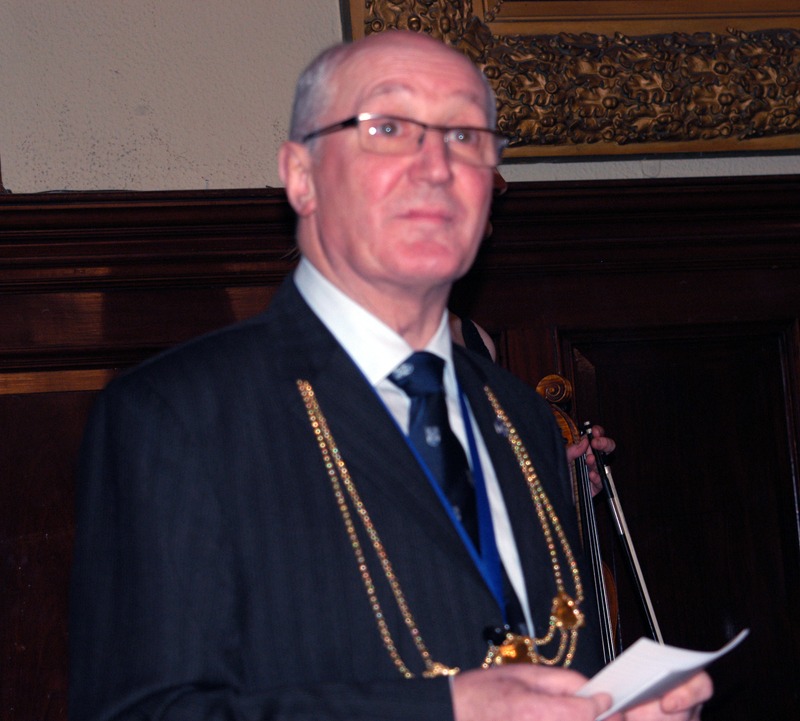 Deacon Convenor Hamish Brodie said a few words of thanks at the close of the meeting.